Boulder Eye Care & Surgical Center | Eye Doctor Jane Wolford, O.D. Dr. Jane Wolford has been in private practice in an optometry/ophthalmology group in Boulder County since 1983. She was a member of the first practice to combine the disciplines of optometry and ophthalmology in the state of Colorado. Dr. Wolford graduated from The Ohio State University College of Optometry in 1983. She is therapeutically and glaucoma certified by the Colorado State Board of Optometry, laser certified by Northeastern University College of Optometry and an adjunct professor at Pacific University College of Optometry. Dr. Wolford served on the Colorado State Board of Optometry for eight years; the last two years served were as president. She also served as president of TLC Laser Center board and as a board member of the Colorado Optometric Association. In 1997 she was recognized by the COA as Optometrist of the Year. She currently spends much of her time and energy working with the St. Vrain Valley School District, Longmont Rotary and Educate! 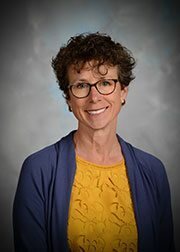 Dr. Wolford resides in Longmont with her husband Dan; they have three grown children and quite often an exchange student as well.